FormSwift's 2015 Summer Scholarship asked college students across the country to come up with a sample business plan for one of five categories: Bakery, Restaurant, Salon, Personal Training and Trucking. We chose the best sample business plan for each category, and one scholarship winner. 67% of people with a gym membership rarely use it. People need to be motivated to work out, and that's what personal trainers do: They motivate. A fitness-focused company that not only works with individuals one-one-one to motivate them to live a healthy lifestyle, but also provides them with plans and how-to knowledge on meeting their goals. 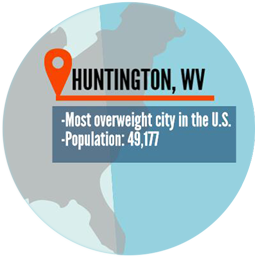 To promote a healthier lifestyle for the customers and the surrounding community. On social media sites,ads can be written for each specific age group and targeted exactly at them. Furthermore, interacting with customers through social media is a great way to create loyal customers. Creating a user-friendly app that customers can use to track their progress and stay in contact with their progress and stay in contact with their personal trainer will reach new customers looking to start a fitness well while also maintaining previous customers. Providing people with discounts or free trials of the great personal trainer service will encourage people to try the service and come back for more. Sponsoring events such as charity races will create a positive brand association and reach target customers. Targeted ads on Pandora Radio that aim at people listening to exercise music will reach customers who are looking to be healthy. Please attribute this infographic to formswift.com/business-plan and Dana Paduraru. FormSwift offers a $1,000 scholarship program for students. To be eligible, students draft and submit a business plan in one of several specific categories. FormSwift is excited and proud to reveal one of the top scholarship submissions! 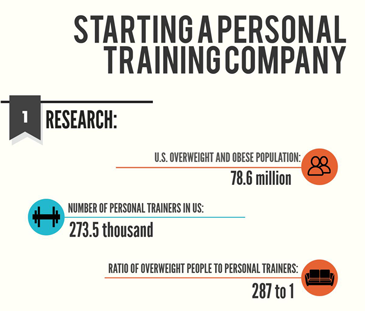 This free personal training business plan and infographic is one of the top sample business plans for the $1,000 scholarship. Download this free personal training business plan and learn the five most critical components to business plans. Don't forget to check out our extensive collection of free and valuable business forms! Sum up in a paragraph or two the main objectives of the business. It should be concise and answer the following: Why does your business exist? What special services, skills or approaches make you stand out from your competitors? What will your business' public image be? What do you want for your customers? Include essential background information and structure of business. Describe the marketing campaign that will be undertaken. Provide a summary of industry trends and advanced planning through a SWOT analysis. What are the job titles? What are the responsibilities of each position? Sum up your business' financial requirements. Provide a statement describing your funding sources and how you intend to apply said funds. Provide a three-year income projection and a break-even analysis graph. Provide statements reflecting past performance.